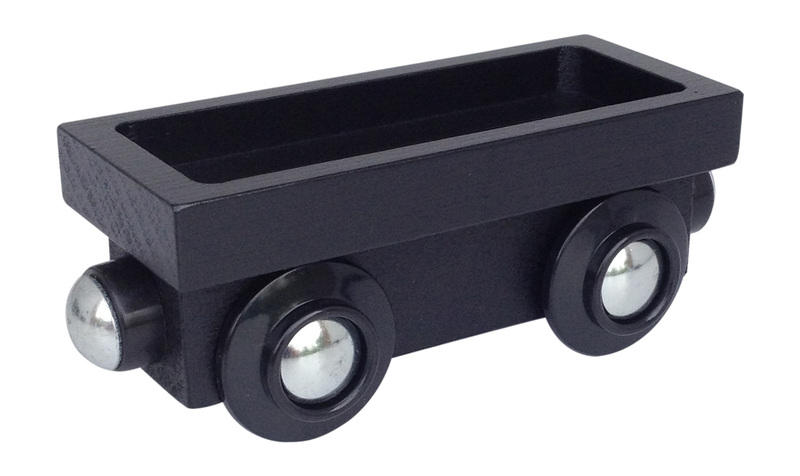 Gondola wooden train car can be used in your wooden train set to haul around cargo in your wooden track layout. Cargo hold is 1/4" deep x 7/8" wide x 2-1/2" long and fits standard magnetic cargo blocks from Thomas Wooden Railway, Choo Choo Track & Toy Co. and many other brands. Even holds LEGOS and such.